A public right of way in the London Borough of Waltham Forest. And guess what building it is directly opposite (see below). The London Borough of Waltham Forest has always been contemptuous of walkers and walking. Now there is historical proof. And this really is a scandal. The Council has broken the law – repeatedly. The Countryside and Rights of Way Act 2000 required all Councils to publish a Rights of Way Improvement Plan by November 2007. This was a statutory legal requirement. Waltham Forest hasn’t done so. In its usual languid, self-satisfied, arrogant way it has broken the law. It is breaking the law at this moment in time. In fact it emerges that it has been breaking the law throughout the period of Clyde Loakes’s leadership, and earlier than that. All the Council has managed so far is a draft, which fails to supply any details of rights of way in the Borough. This draft is a fascinating document, because it opens up a gigantic can of worms. As long ago as 1949, under the National Parks and Access to the Countryside Act, local authorities were required to produce a Definitive Map and Statement of rights of way (DMS). In 1953 Essex County Council met its obligations under the Act and produced a Map and Statement – but only for Chingford and Walthamstow. It didn’t bother with Leyton. The excuse offered was that ‘the area was so fully developed as to make a survey inexpedient’. This was a plainly bogus excuse but I am not sure what lies behind it. In 1963 the Map and Statement for Chingford and Walthamstow were updated. 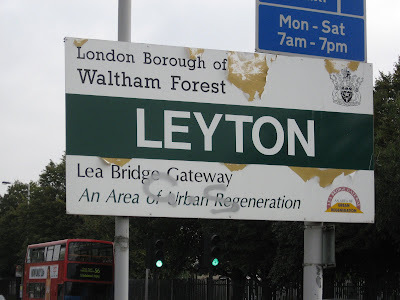 In 1965 these three areas were amalgamated to form the London Borough of Waltham Forest. And what did the Borough do about its statutory obligation to maintain and keep a Definitive Map and Statement (DMS)? Nothing. And for the past 43 years the Borough has been in breach of its legal responsibility. To make matters worse the Council has lost its copy of the 1963 DMS. 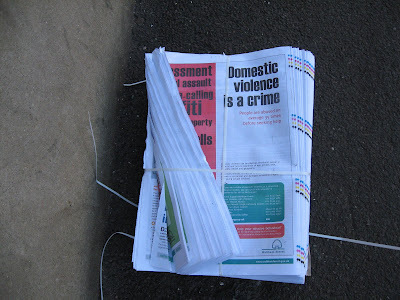 The 2000 Act should have been a wake-up call to this complacent walking-indifferent Council to get its act together. Naturally it decided to flout the law rather than meet its responsibilities. What it really needs is a body like The Ramblers Association to take the Council to the High Court and seek a judicial review of its contempt for its statutory obligation to produce a DMS. The sketchy draft plan which has now been published in late January (backdated and entitled ‘November 2007’) is full of equivocations and vague promises. The development of a walking strategy will ‘require action from the Transport Planning Team and an additional budget will be required’. Improving information for the public ‘will require action from The Transport Planning Team and an additional budget will be required’. So the Council is planning to spend money on looking for funding ('Funds will therefore need to be made available to seek the grants that may assist' p. 22). However, every cloud has a silver lining. A Council which is reluctant to promote cycling at the expense of motorists and parked cars sees the chance of making walkers pay the cost of improvements for cyclists: ‘it is possible that links could be made through existing public rights of way which could be converted to cycle tracks’ (p. 15). It also means that any sluggish efforts towards catching up with statutory legal requirements can be claimed to 'assist in the delivery of The Walking Plan for London' (p. 20) and thus be trumpeted as yet more evidence of the Council's passionate commitment to walking. Business as usual, in short. You can read the document online (in PDF format) here. Hard copies are available from local libraries, Waltham Forest Direct Shops and the Town Hall. The 'Improvement Plan' is a deeply dishonest document in two particular ways. It is very coy about what members of the public commented in response to an earlier consultation, vaguely saying that among issues raised were 'maintenance', 'public safety', 'signing' and 'barriers/gates'. 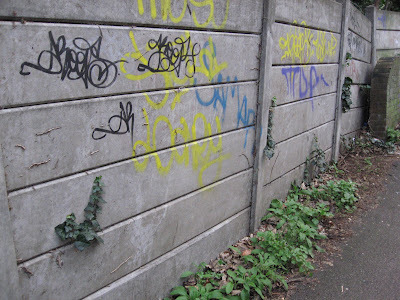 What members of the public undoubtedly complained about were this Council's contemptuous neglect of its PROW network, its indifference to illegal obstruction of it, its gross failure to maintain its footpath network to an acceptable standard, and its failure even to sign the vast majority of local public rights of way. The 'Improvement Plan' contains a number of pretty photographs of footpaths and cycle lanes designed to muffle those realities. Such scenes are unrepresentative, misleading and dishonest. The photographs I've used here all show the current state of a public right of way which runs from The Drive E17 to Forest Road. My final photograph shows the building it is directly opposite. As all it involves is crossing a road I think the two individuals most responsible for this state of affairs should be invited to come and clean it up themselves. They are Martin Esom, Executive Director of Environment and Regeneration, and Councillor Belam, Cabinet member for Environment. Why not drop them a line? And get knocked down by an overtaking vehicle! Perhaps I am the only person who ever cycles on the A112 in Chingford. And with potentially lethal obstructions like this it's not surprising that so many people have no desire to ride a bicycle on the terrifyingly dangerous roads of East London, which are full of speeders and drivers gabbling on hand held mobile phones. Tackling climate change the Waltham Forest way! The latest issue of wfm – why not pick up a copy from your local pavement – invites residents to ‘find out more about how Waltham Forest plans to help tackle climate change’. See for yourself on the A112, where I spotted some nice fresh markings the other day (see photos below). Here, cycling seems to be in decline. Counts taken over a 12 hour period in the Crooked Billet underpass over the past decade – and most cycle traffic here is, I think, likely going to be flowing north-south rather than east-west – came up with these figures. 1998: 335 cyclists. 2002: 312 cyclists. 2006: 309 cyclists. It is not clear to me if these figures count cyclists going in either direction, in which case most cyclists are probably going to end up being counted twice. In short, cycling accounts for only a tiny fraction of travel modes on this route. This fits in with TfL figures in their 2007 Travel Report. Fewer people cycle in Outer London than in Inner or Central London. The number of people cycling to work in Outer London even falls below the national average. In the case of the Crooked Billet figures, cycling is falling (whereas on some other routes in the Borough cycling numbers have doubled in the past ten years). Undoubtedly the Crooked Billet underpass itself supplies a major deterrent to cycling. But I think conditions on the A112 in Chingford also probably put people off cycling. There is a cycle lane but the narrowness of the road ensures that overtaking traffic comes perilously close. When there is traffic congestion the cycle lanes are frequently obstructed by vehicles. On Old Church Road E4 there are no cycle lanes at all and cyclists get trapped in regular traffic congestion. But the A112 has one major asset. There are substantial sections all the way from Chingford Mount cemetery to the greyhound stadium which have amazingly wide pavements. There is the potential for major improvements by widening the cycle lane and installing some form of physical separation between cyclists and traffic. There is also scope for brightening up the walking environment in all kinds of imaginative ways. It is highly likely that walking is as massively in decline in this Borough as it is in Britain as a whole, though it is impossible to tell because the Council is so contemptuous of walking that it has never bothered to take pedestrian counts. As Bob Belam’s unlamented predecessor breezily explained to the local paper a couple of years ago, pedestrian counts are “a waste of money”. So given the Council’s commitment to ‘tackling climate change’ and given the slump in cycling (and, probably, walking) on the A112, what is its top transport commitment here? You guessed. 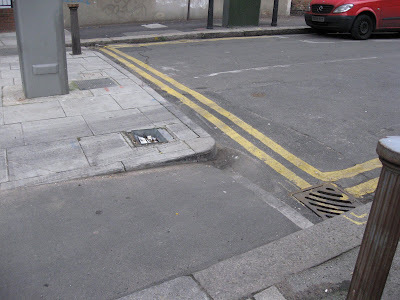 Using the pavement to create free car parking and to assist all those residents with off-street parking who wish to acquire a second, third or fourth vehicle. So it's no surprise, is it, that these photographs show cars but not a single cyclist or pedestrian. Got your copy of wfm handy? On page 16, bottom left corner, in ‘Rights of Way Improvement Plan: Public Consultation’ there are three gorgeous photographs – two of idyllic footpaths and one of a smart shared use cycle lane/footway. I didn’t recognise the last site, so I went to have a look at it. Having found it, I realised I’d only cycled on it once before. 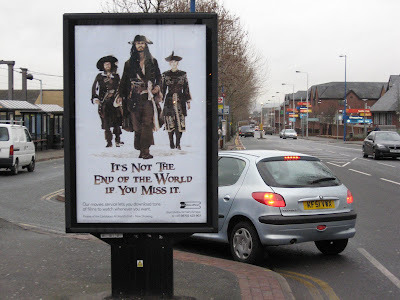 The reason I'd repressed the memory was because it's on a hellish section of Marshall Road E10 and leads nowhere but to a giant car park, a giant Asda, B & Q, and a lot of people who’d like to sell you a pirate DVD. It would be interesting to take a cycle count here (but I can see why LBWF wouldn't want to - it wouldn't look good for the statistics). And guess what I found on the cycle lane! 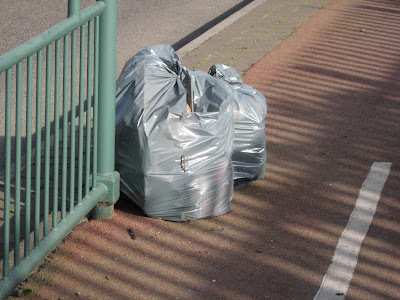 Yes, a couple of those grey LBWF street sweepings bags. 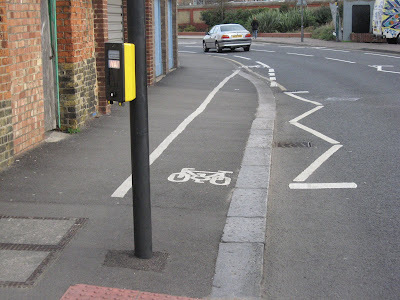 Well obviously a cycle lane is where you’d put them for collection, right? Some wet cement with your cycling, sir? 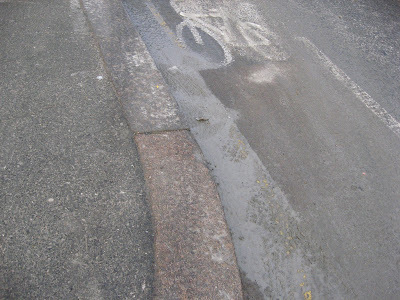 Wet sloppy cement oozing down Hurst Road E17 and filling the cycle lane on Forest Road. Just what every cyclist needs - that little bit of extra aggravation on top of all the other barriers to cycling. 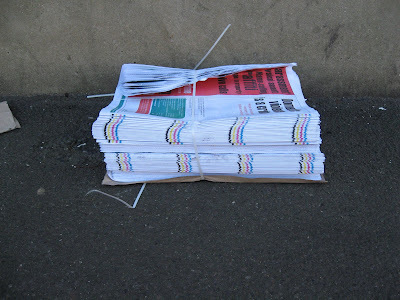 Yesterday at mid-day on the pavement on Seaford Road E17, across from the junction with Falmer Road, I came across a stash of free newspapers, which had been dumped there. There was no one around. This is the kind of thing that a blind person could trip over and fall flat on their face. 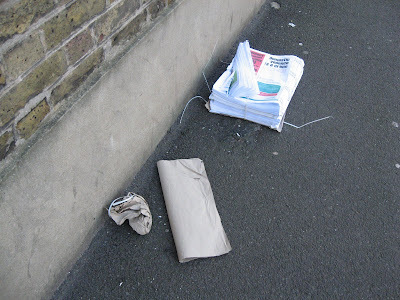 The papers had evidently been wrapped up in paper, which had been torn off and discarded on the pavement in two scraps. Luckily I was able to identify the source of this irresponsible and anti-social behaviour. The publication is called wfm and it is put out by something calling itself 'the London Borough of Waltham Forest'. Please contact your local councillor and ask for an ASBO to be taken out against whoever is in charge of this rubbish outfit. Informed sources say he is called 'Clyde' and hangs out at a notorious building on Forest Road. 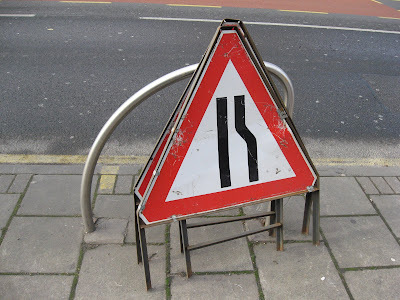 Cycle stands make marvellous supports for disused road signs. Is this why the cycle stand now has a Leaning-Tower-of-Pisa tilt? Old Church Road, E4. Meanwhile the cycle stand which has a trader's sign locked to it, which I blogged about weeks ago, is still in the same condition. 280 Chingford Road, E17. 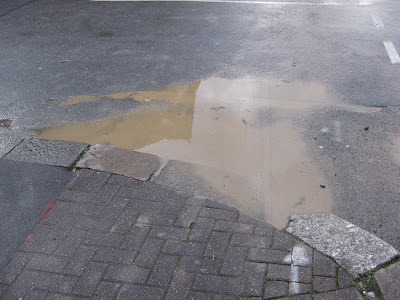 I expect the reason the Council has done nothing about it is because it's awfully hard to work out who put it there. WHEELCHAIR users who use Walthamstow Central station have received an apology from Transport for London (TfL). 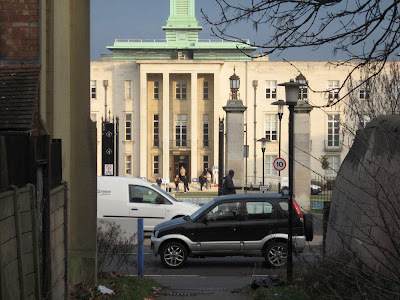 Waltham Forest London Assembly member Jennette Arnold called on TfL to apologise last month about the lack of access at the new subway which was compounded by the lifts not working. 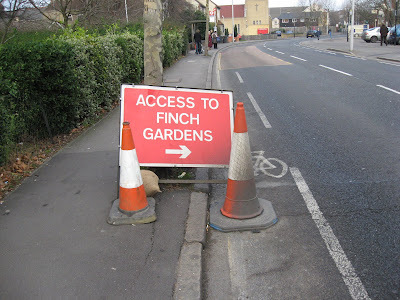 Lack of access? 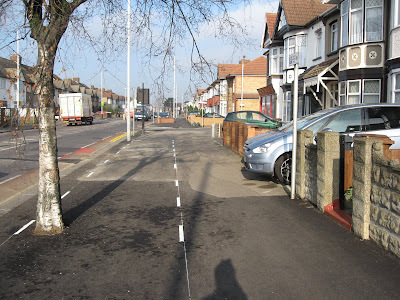 In that case it’s time the London Borough of Waltham Forest apologised for Stanley Road E4 - and then returned these pavements to the people they belong to – pedestrians and wheelchair users, not car parkers. This is probably the shortest stretch of off-road cycle lane in the Borough, and also the most bizarre and ridiculous one. ‘London is a great city for walking. My vision is to make it one of the world’s most walking friendly cities by 2015.’ That was Ken Livingstone back in 2004, introducing the policy document Making London a walkable city: The Walking Plan for London (February 2004). I’ve added it to my Links. 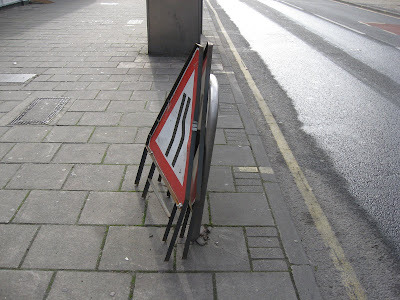 3.10 Carry out regular inspections of the highway to remove temporary obstructions to the footway e.g. advertising boards and display goods. This week a paper in the British Medical Journal gave warning that climate change could be particularly damaging to the health of people in the developing world, but research also suggests that it could be bad news for Britain. “What we do to deal with climate change could bring about a revolution in public health,” says Ian Roberts, a professor at the London School of Hygiene and Tropical Medicine. For example, reducing our dependence on cars should mean that more people walk and cycle, leading to a decrease in obesity. It should also reduce road accidents, which kill more than 3,000 Britons a year. “At the moment we are in a vicious cycle,” says Professor Roberts. “We use our cars more and get fatter because we are not exercising. As we get heavier, we become more dependent on fossil fuels because we are reluctant to walk or cycle at all. We need to break this loop. But the London Borough of Waltham Forest is not breaking the loop. It is strengthening it, by seizing more pavement space for car parking (which not only degrades the walking environment but promotes faster vehicle speeds), neglecting the walking environment on a spectacular scale, introducing traffic calming which actually agitates traffic and worsens conditions for cycling (I refer to rubber speed cushions), failing to install speed cameras at lethal locations, neglecting the maintenance of cycle facilities, failing to replace lost cycle stands, failing to provide adequate cycle parking… In short, as our species moves slowly towards extinction, this Council is, in its own small way, actively assisting the process. There are 25 million extra car trips in the pipeline for London. And much more. Tony Juniper is standing down as Director of Friends of the Earth. When I took over running the organisation in March 2003, the annual budget had risen to £11million and the 170 staff were professional, organised and focused. In that case, why are conditions for cyclists and pedestrians in Britain so crappy? At a national level both walking and cycling are in decline. FoE was once a radical, campaigning organisation which even managed to persuade the Thatcher government to introduce that revolutionary European concept known as ‘traffic calming’. • Between 1995/97 and 2006, the average time people spent travelling increased by 4 per cent to 383 hours per person per year. • Over this period, the average amount of time spent travelling by car increased by 4 per cent to 232 hours and the time spent walking decreased by 8 per cent to 67 hours. • In 2006, travel by car accounted for 60 per cent of time spent travelling, the same as in 1995/97. Over the same period, the proportion of time spent walking has fallen from 20 to 17 per cent. Over the years, I have learned to be more pragmatic. I still want to change society and politics. But there isn't now time enough to alter the fundamentals. So, instead of trying to reform the system, I have led Friends Of The Earth towards trying to change the way we live within the system. I can’t say I’ve noticed that this has strategy has brought any benefits for cyclists or pedestrians. And it's a bit rich of Juniper to accuse jet-setting celebrities of hypocrisy when the same charge can be laid against him. The real question, of course, is why, when the maximum speed limit is 70 mph, cars are designed to go at speeds of 160 mph. It seems to me that car manufacturers are guilty of conspiracy to commit violent disorder. It’s a pity that well-heeled organisations like Friends of the Earth and Greenpeace have never attempted a private prosecution. I once had the opportunity to put this question face to face to a government minister. The reply was that as there are no speed limits on German autobahns it would discriminate against British drivers who take their cars to Germany. I was cycling along Grove Green Road E11 this morning when I encountered THIS. At the best of times I hate Grove Green Road. The traffic goes far too fast, and the small cheap rubber speed cushions don't help (they fail to slow the traffic and drivers swerve erratically to straddle them). The cycle lane is far too narrow and runs alongside parked cars, with the ever present danger of 'dooring'. And vehicles overtake far too closely for comfort. Which is why if motorists can get prosecuted for dangerous parking, then contractors should be heavily fined for dangerous obstruction of a cycle lane. But of course they aren't. Until this and so much else changes, cycling is always rightly going to be regarded as a very risky travel mode in this country. 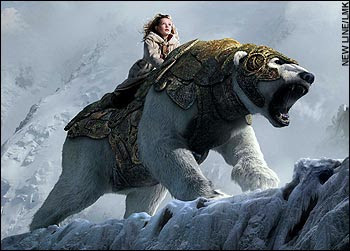 The Home Secretary says the streets are unsafe. She was referring to mugging. In reality the major danger on the streets for the ordinary person comes from society’s biggest and most violent group of criminals – drivers. In response to criticism, Gordon Brown mouthed some platitudes: "I want everybody in Britain to be safe and feel safe on our streets. There are more police than ever in our country and we will do everything in our power to ensure the safety of our citizens." Well, if the Prime Minister wanted to do everything in his power to ensure the safety of Britain’s citizens he could make traffic law enforcement a top priority, instead of a fringe activity by the police. A lorry driver has been arrested after his vehicle hit and killed a cyclist on a busy London road. Paul Hendrich, 36, died at the scene after the smash, on Battersea Park Road, close to Battersea Dogs Home, in south west London. A team of paramedics and air ambulance doctors fought to save Mr Hendrich, but he was pronounced dead shortly after the crash, at around midday, on Wednesday last week. The victim was just a few minutes from his home, but it is not yet known where he was travelling to. The cause of death was given as multiple injuries. The driver was arrested on suspicion of causing death by dangerous driving, but was released on police bail until later next month. Paul Hendrich's friends are in a state of shock. Town planners and architects will today be told to give pedestrians and cyclists priority over cars in towns. That’s the pious aspiration of the NHS’s National Institute for Health and Clinical Excellence. Or Nice, as it calls itself. Nice has departed from its usual remit of advising on NHS treatments to produce guidance on the built environment with regard to health. The organisation urges local authorities to crack down on vehicle use, by such means as charging and traffic calming. The guidance was commissioned by the Department of Health, motivated by the obesity, cancers and heart disease that can accompany the sedentary lifestyle. A bit rich, really. Of the surgeries in Waltham Forest that have car parking for patients I can’t think of a single one that has a cycle stand. 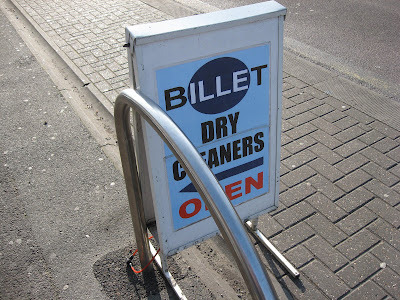 The only one I know that had cycle parking facilities – fairly useless ones, in the form of concrete blocks with slits in, to park your bike in – removed them when the car park was resurfaced. I once asked the local health trust (i) how many car parking spaces are there at local hospitals? (ii) how many cycle stands are supplied at local hospitals? The Trust refused to answer my questions. Before Nice starts lecturing local authorities it should put its own house in order. The medical profession is just as much addicted to car dependency as any other profession. Many consultants and doctors seem to like big flash cars and reserved no-charge parking spaces. Nice guidance is not binding on town planners. Which means it will end up in the litter bin, where it belongs, along with all the other pious crap about people needing to cycle and walk more in urban environments which are profoundly hostile to cyclists and pedestrians. In 2006, the number of children killed in road crashes in Britain was 169 –a 20 per cent rise on the figures for 2005. There was also a five per cent rise in the number of motorcyclists killed, with the total reaching 599 and pedestrian deaths were also up by one per cent, reaching 675. There was a four per cent fall in the number of car users killed, with last year's total dropping to 1,612. A pedestrian crossing, built in memory of an 11-year-old who died in a road accident in 2005, is due to be officially opened on Friday. Scott Cook's sister, Abbey, will perform the opening ceremony on the A46 near Stroud in Gloucestershire. 'Scott's Crossing' was installed following a campaign by people that encouraged Gloucestershire Highways to carry out a feasibility study. West Avenue E17. 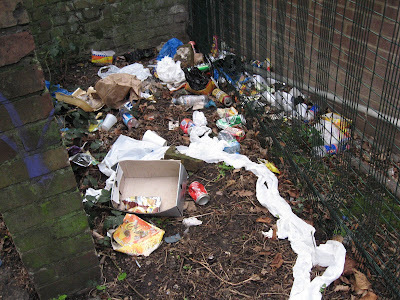 Not just a typically dirty, squalid walking environment but also one which breaches Government guidelines for the disabled. A STUDY aimed at improving equality between disabled and able bodied people was not carried out by the council, contrary to law. All local authorities have to carry out a disability impact assessment under the Disability Discrimination Act (DDA) before making major decisions. But Waltham Forest Council admitted none was undertaken before St James St Library, Walthamstow, was closed, despite it having one of the few disabled toilets in Walthamstow. A clear width of 2000mm allows two wheelchairs to pass one another comfortably. This should be regarded as the minimum under normal circumstances. Where this is not possible because of physical constraints 1500mm could be regarded as the minimum acceptable under most circumstances, giving sufficient space for a wheelchair user and a walker to pass one another. The absolute minimum, where there is an obstacle, should be 1000mm clear space. Now look at West Avenue E17. Where the road crosses the railway the footway narrows to a little over one metre – just within the guidelines. But some years ago it was determined that this bridge, in common with many others in the Borough, required strengthening. Network Rail say it’s a local authority responsibility, and the Council says it’s Network Rail’s. Stalemate. Nothing has been done for years. 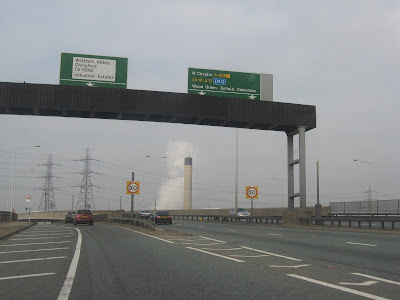 But it would be hazardous to allow vehicles to park on the footway on these bridges, as it would further weaken them. As no one is prepared to spend any money on the problem (until one of these bridges collapses, with potential serious loss of life), the Council came up with a cheapskate solution. Blocks of wood on the pavement! It had other alternatives. It could have made West Avenue one way, put the blocks of wood in the carriageway, and introduced a restriction on Heavy Goods Vehicles. Instead it went for the highway engineer’s favourite solution: dump the problem on pedestrians and footway users. Which is why it is that the footways on both sides of West Avenue at this point have been artificially narrowed by the Council to point nine of a metre – below the guideline’s absolute minimum. But if this Council can save a bit of money by discriminating against wheelchair users, why should Councillors Belam and Loakes worry about a trifle like national guidelines for the disabled? If you turn round and look in the opposite direction you can see a classic failure of urban design. Instead of a bench, a flowerbed, perhaps a piece of sculpture, there's a badly sited lighting column and extensive space devoted to those residents who want to acquire a second or third car. 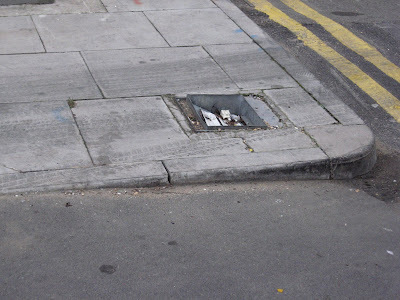 The dropped kerb on Matlock Road E10 at the junction with Peteborough Road. That’s a Green Charter pledge I keep going back to. Full marks to the Council for putting in drop kerbs at junctions. No marks at all for repeatedly failing to ensure that they are properly drained. 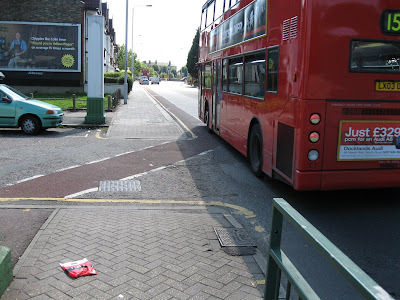 The photograph below shows the dropped kerb on Cleveland Park Avenue E17 at the junction with Hatherley Road. Ken Livngstone has responded to Channel Four’s one-hour hatchet job on him. What leapt out at me in his reply was this Mori poll finding among Londoners: the key environmental issue, as rated by 65%, is traffic pollution. A SPEED limit of 20mph could be introduced across Waltham Forest and other London boroughs if Ken Livingstone gets his way. The Mayor of London has unveiled a number of proposals which are designed to make the capital a safer, more green place. Among them is a plan to encourage authorities to make 20mph the default limit on all residential roads. 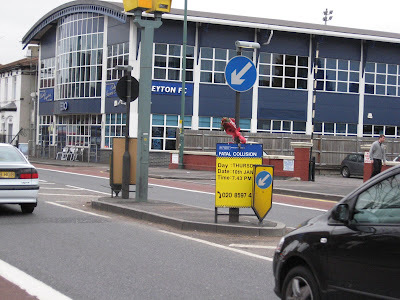 Waltham Forest already has a number of 20mph zones and last year applied for a total of £1.3m from Transport for London (TfL) to install limits in the Cann Hall area of Leytonstone, Bisterne Avenue, in Walthamstow, Church Hill, in Walthamstow and Cavendish Drive, in Leytonstone. 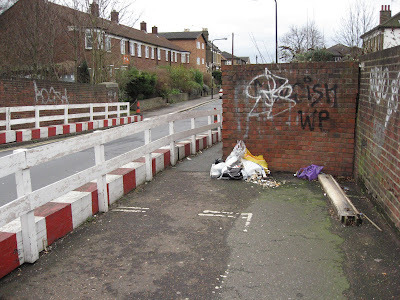 The Cavendish Drive zone, costing £350,000, proved to be controversial as a request made under the Freedom of Information Act by Guardian reader Phil Robinson revealed there had only been five slight and two serious accidents to pedestrians in the last 10 years. The leader of the Conservative group on the council, Cllr Matt Davis said that 20mph zones should only be put in where accident records show a proven need. He went on to describe the borough's increase in 20mph zones as part of council leader Clyde Loakes' "anti-car agenda". But the authority's environment cabinet member Bob Belam said: "It is outrageous that we are being attacked for attempting to prevent accidents, protect the public and reduce deaths on our roads." This story is a useful reminder that no matter how bad things might be for cyclists and pedestrians under a New Labour-Lib Dem administration, they will always be worse under the Tories. 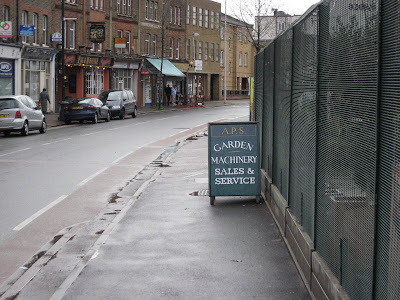 The idea that the Loakes administration, which continues to seize pavement space for the benefit of 4X4s, is ‘anti-car’, shows how irrational people like Cllr Davis are. The Tories hate bus lanes, cycle lanes and speed humps. Always have, always will. Politics aside, the scientific flaw in Cllr Davis’s reasoning is that ‘accident records’ are not a true measure of road danger. Some roads may have a low casualty rate not because they are safe but because they are so terrifyingly dangerous that cyclists and pedestrians avoid using them. And if the Council’s expenditure of £350,000 means that there will never again by a serious accident for a pedestrian on a residential street that is money well spent, and a drop in the ocean compared to the millions lavished on ‘road improvements’ which benefit motorists. 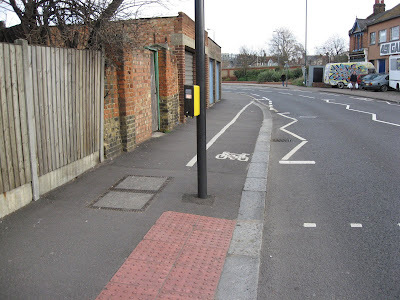 If you are cycling from Chingford to the Crooked Billet along the A112 (Chingford Road) you will come to an off-road cycle lane outside the greyhound stadium. 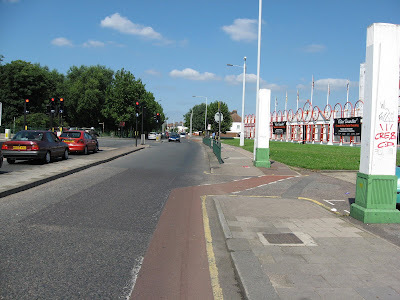 When the lights are at red at the junction with Walthamstow Avenue, cyclists have the option of cycling off-road outside the stadium, bypassing the lights and re-joining the A112 beyond the stadium. Excellent! Except for one fatal flaw. As cyclists rejoin the traffic flow the cycle lane has no physical protection from oncoming traffic. And that traffic approaches either from Walthamstow Avenue, which accesses a hotel and a large branch of Sainsbury’s, or from the A112, because the lights may change as you bypass the stationary traffic at red. Every other local authority that I know provides some form of physical protection and warning for drivers at sites where off-road cycle lanes emerge into busy traffic lanes. Not crap Waltham Forest. In daylight you rely on a driver noticing the emerging cycle lane and the possibility of a cyclist suddenly appearing there. As I’m sure most cyclists have noticed, paying attention is not the strong point of many drivers, particularly since the invention of the mobile phone. As for emerging at this point at night… Well, you can understand why some cyclists might prefer to ride on an empty pavement rather than sacrifice their lives to a criminally inattentive driver who, if they kill you, will only be prosecuted for driving without due care and attention and receive a small fine. 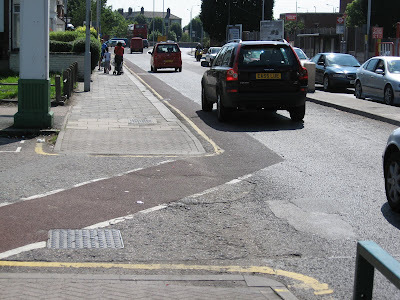 The two photographs below show how wider vehicles enter this unprotected cycle lane. 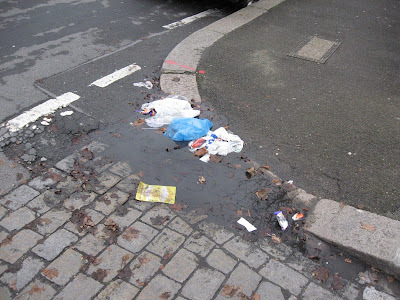 This pothole on Cleveland Park Avenue close to the junction with High Street is perfectly located to encourage cyclists to move out into the centre of the carriageway, to be hit either by an overtaking vehicle or to meet head on a car coming round the blind corner. Another triumph for the Council's 'efficiency savings'! Andy Hillier, 30, was riding to work when his rear wheel was wrecked as he hit a pothole in Uxbridge Road. The journalist had to push his £500 Marin bike back home before travelling to work by Tube after the accident in June. 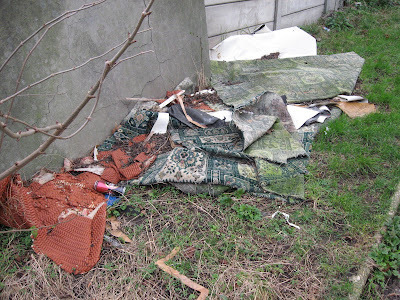 He filed an official compensation claim with Ealing council and expected to receive a cheque within days. But his application was turned down twice and, determined to persist, Mr Hillier was stunned when the council appointed solicitors to deal with the claim and sent him a 12-page dossier explaining why it was not prepared to pay. He responded by taking Ealing to a small claims court where a district judge said he was "deeply disappointed" that the council had decided to defend the case in spite of overwhelming evidence in favour of Mr Hillier. "In my opinion this case should never have found its way to an open court trial," said the judge at Brentford county court. 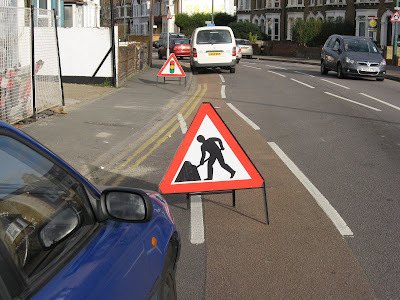 Mr Hillier said: Ealing talks about being a cycle-friendly council but many designated routes in the borough are hazards. Is it possible that there is another London council that reminds you of? West Avenue Road, E17. 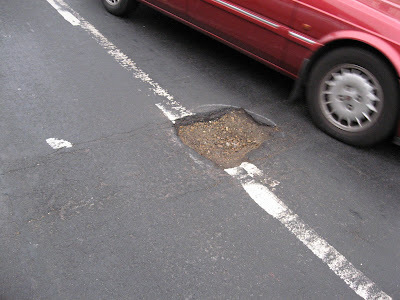 This pothole was brought to the Council's attention months ago. Someone was sent out to paint a white circle round it. The purpose of this traditional folk ritual is not known. As you can see, the white circle has now almost completely faded. Perhaps the Cabinet all hold hands and hope that the power of positive thinking will magically fill up all the holes with gleaming fresh tarmac. Or does the circle simply signify zero - a symbol that nothing will be done about it? At a national level the same mass media which marginalizes death on the roads regularly runs anti-cyclist stories. There was one recently in the Daily Mail. Lady Sharples boasted of assaulting a cyclist: “: "I had a bag and I swiped him. I did not hit him hard enough.” Lord Bassam, a government transport minister remarked, “I think she probably did the right thing.” Needless to say a cyclist who assaulted a driver who had just missed knocking her off her bike could expect to be arrested and charged with assault. reinforced calls for laws requiring cyclists to put registration plates on their bikes. London Mayor Ken Livingstone has sought to clamp down on dangerous cyclists with police issuing £60-on-the-spot fines for riding on pavements or jumping lights. That’s the same fine given to a reckless driver using a handheld mobile phone. Tory MP Mark Pritchard urged ministers to consider a registration plate system for bikes to make it easier to identify cyclists riding dangerously. 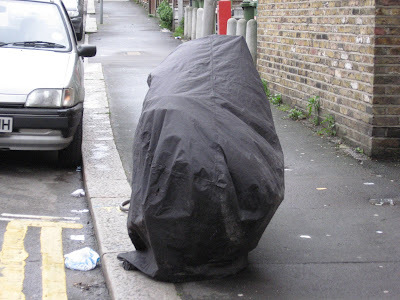 He said: "Cyclist etiquette would improve if they could no longer remain anonymous." But registration plates haven’t exactly made drivers safe, responsible, considerate people. A registration system for cyclists is in reality totally unworkable. If one was introduced it would undoubtedly involve a fee, and it would either be ignored by many cyclists or, if rigorously enforced, it would result in a massive slump in the numbers of people cycling. Because of these two factors I don’t think there’s the slightest possibility of cycling registration plates ever being introduced. The Driver and Vehicle Licensing Agency risks becoming "a complete laughing stock" after it emerged nearly 40% of motorbikes were untaxed, MPs have said. Evasion rates among all road users rose to 5% in 2006-7, costing taxpayers £214 million, up from 3.6% in 2005-6. The Commons Public Accounts Committee urged the DVLA and Department for Transport to "strongly consider" tougher measures to tackle evasion. Chairman Edward Leigh said the DVLA's efforts to deal with it were "poor". His committee said the agency should consider impounding untaxed motorbikes and imposing penalty points on tax-dodgers. 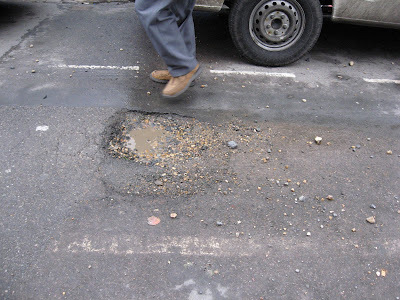 Mr Leigh said: "The DVLA's performance in tackling persistent evaders of road tax has been poor. "The agency and Department for Transport must work with the police and local authorities to tackle offenders actually out on the road, rather than simply by using paper records. And ways of using new technology to detect evaders must be vigorously pursued. The alternative is an ever increasing belief among road users that the evasion of road tax is a low risk activity." Unfortunately because governments, the police and the criminal justice system have traditionally indulged drivers, most forms of criminality on the roads are a low risk activity. On Cairo Road E17 this blatant form of footway parking has continued now, permanently, for over a fortnight at least. I don't know whether the parking attendants aren't issuing it with FPNs or whether the FPNs are being ignored because the machine is not taxed and the owner is untraceable. A MAN died in a road accident close to the Green Man roundabout this morning. The Council beseeches residents to ‘Help us tackle climate change’ (p. 5, wfm, January 14 issue). It grandly announces that it is working on a ‘climate change strategy’ with its ‘partners’ (including this outfit, perhaps). This is characteristic impudence and hypocrisy on the part of a Council which month by month, year after year, snatches more and more pavement space for car parking, by so doing promoting multiple car ownership and use at the expense of non-car owning households. 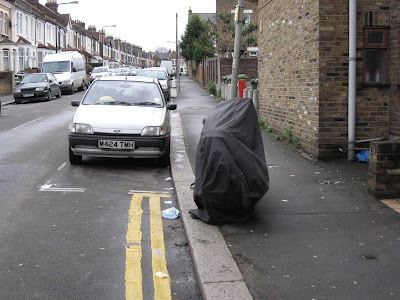 Cars so physically dominate our streets, including hundreds of local pavements, that it is easy to forget that nearly half of us in London don’t even own a car. But now this rush to turn more and more space over to car parking has upset car owners! This is naturally a very serious matter. RESIDENTS were shocked to find new pavement parking bays blocking their driveways. 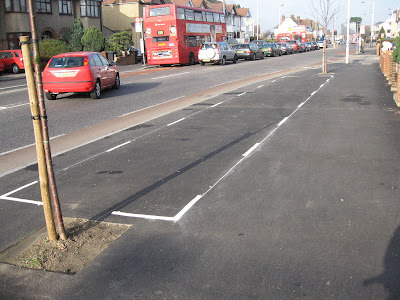 Council workers were re-marking the parking bays in The Risings and Salters Road, Walthamstow. But instead of merely repainting the existing bays, they put two dotted parallel lines all the way along both streets. In a letter to residents received after the lines had been painted, the council said the move was allowed under new legislation, enabling authorities to bring in two different styles of pavement parking. It went on to say that the council had originally decided to implement option 1, called "continuous parking." The letter explained: "Anyone can legally park across your driveway, blocking you from getting in or out of your drive. 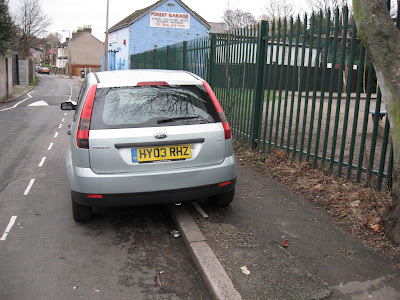 Neither we (council/NCP) or the police would be able to act in either of the scenarios above, even if the vehicle was parked for an extended period of time, unless it was not road legal." Not surprisingly the residents were not happy. They contacted the local paper, protested to the Council, and ‘Continuous parking’ was immediately cancelled on these streets. But only for the benefit of car-owning residents. The rest of the pavement remains for drivers, not pedestrians. One of the interesting things about transport policy in this Borough is how secretive it now is. In the past a lunatic proposal like this would have had to be presented as a proposal to the Highways Committee. Residents would have had the opportunity to put their views to their Councillors and attend a public discussion of them. Now transport policy is decided behind closed doors. Officers present a proposal to Bob Belam, and he nods it through. Anyone affected by it is not consulted. The first you learn of changes on your street is when contractors arrive to implement them. In this instance, the Council’s sensitivity to car-owning residents is not matched by a similar sensitivity to pedestrians. 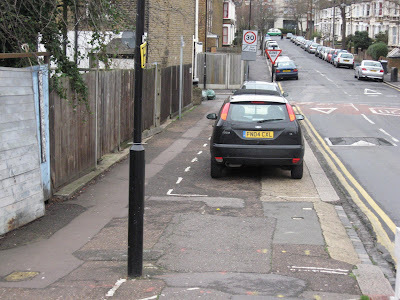 It’s clear that this crazy new policy of ‘Continuous parking’ is being applied to pavements where there are no drives. Whole new tracts of pavements are being seized for the benefit of residents who wish to acquire a second, third or fourth car, and who have nowhere else to park it but the street. 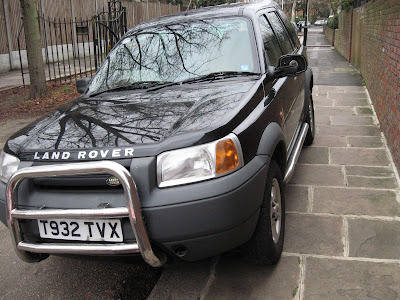 Markings are being introduced for the benefit of multiple car owners and for those who choose to acquire big, wide vehicles (such as 4 X 4s) wholly unsuitable for residential streets. 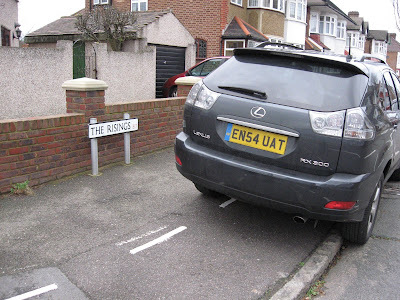 In the case of streets like The Risings and Salters Road the question should be: why have pavement parking at all? Houses here have drives and garages. Pavement parking exemptions simply legitimize buying a third, fourth or fifth vehicle and being allowed to park it on the pavement. There is also the question of enforcement. Parking attendants put most of their effort into shopping centres and CPZs. 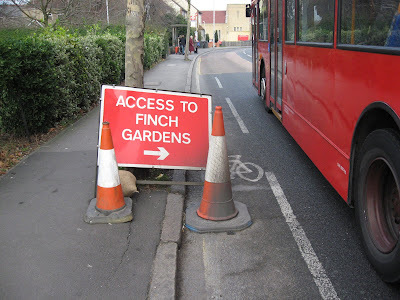 Quiet residential streets outside these zones receive much patchier enforcement. Sunday enforcement is much lower than on weekdays. 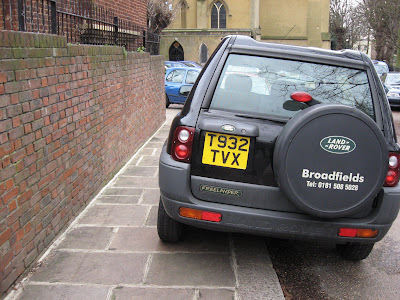 And the lesson of footway parking exemptions is that no matter how much pavement you give to drivers, some of them always want more – and will take it. Forest Road, E11. Outside the primary school. 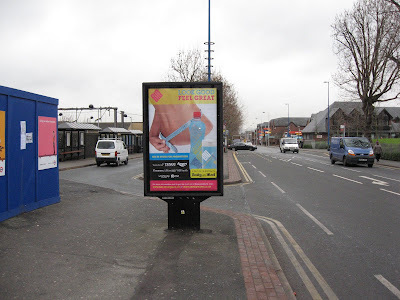 This advertising sign is ugly, obstructive and, worst of all, it means that pedestrians have an obstructed view of approaching cars and that drivers turning into the drop-off bay by Walthamstow station have an obstructed view of pedestrians crossing. 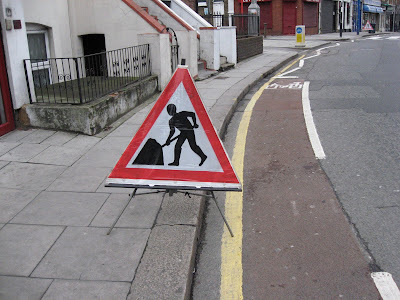 The perfect symbol of this crap Council's contempt for walking. But it makes the Council money. 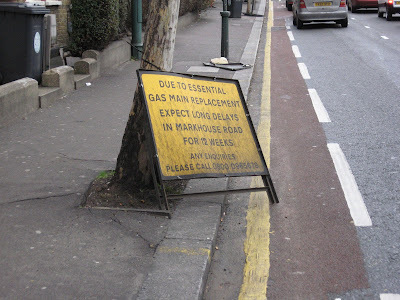 A sequel to the photograph of the contractor’s sign obstructing the cycle lane on Lea Bridge Road. Hoe Street, close to the junction with Cairo Road E17. A police sign has finally gone up at the site of the pedestrian fatality in Lea Bridge Road. Look carefully and you'll see that the telephone number to ring is obscured by the Keep Left sign. No more than 400 traffic police officers are left in the whole of London to respond to over 80,000 personal injury crashes and nearly 300 deaths. The government currently estimates the average cost of the police investigation into a fatal road death to be less than £1,500 (0.1% of the total value of prevention for a fatal crash), and only £200 for a serious injury crash (the equivalent of no more than a few hours of police time) (DfT, 2003). In London there are over 1000 murder detectives and although there are approximately twice as many road deaths investigated as there are murder investigations, last year the Met Police reported having only 46 specialist collision investigators, about 5 % of what would be required if the investigation of road deaths and murders were given equal priority. And lo! 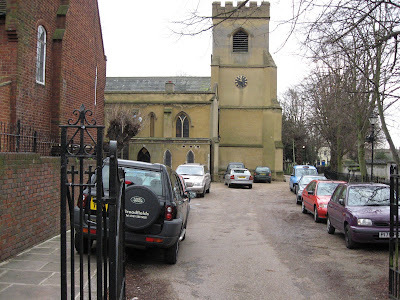 On the seventh day the worshippers attended St Mary’s Church, Walthamstow. And the Lord said, Thou shalt attend only by car. And there shall be no cycle stands at the House of the Lord. And the Angel of the Lord said: Thou shalt show thy contempt for global warming by turning up in a Landrover Freelander. 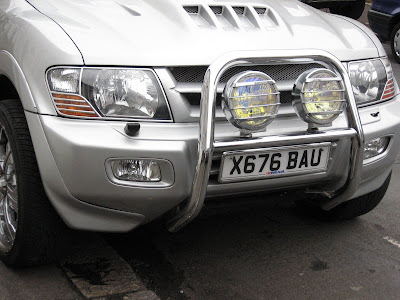 And thou shalt attach a bull bar to this Freelander, in order that it may maim or kill child pedestrians or cyclists. And thou shalt display thy contempt for those with a mobility handicap or visual impairment by parking it obstructively on the pavement. And the Angel said: All who walk or pedal are an abomination unto the Lord, and they shall be cast out into the outer darkness of the London Borough of Waltham Forest, there to suffer the pangs of eternal torment under the Evil One. If you want to suggest a topic for a sermon (such as 'showing Christian consideration for others') why not email the Rector? What will Waltham Forest look like in twenty years time? gushes the latest issue of the Council's expensively-produced propaganda rag wfm. That's an easy one to answer. It will look like this. And instead of one incinerator chimney spewing its contents across the Borough, there will - if this Council gets its way - be four! That's why in 20 years I hope I will be living far, far from here, in a place where the air is clean and it's pleasant to walk and cycle. Acclaimed author Philip Pullman champions a new brand of environmentalism that offers us all hope, trumpets today’s Daily Telegraph. Q. Have you done anything to reduce your own environmental impact? Philip Pullman: Around the house, all our light bulbs, apart from the ones in the kitchen, are low-energy ones. In the kitchen, there are these bloody halogen things. When we had our kitchen done three or four years ago, I said, "We want low-energy lights" and the designer said, "Oh, these are low-energy." Well, they're not, actually, they're 50 watts each. What he meant was they're low-voltage, which isn't the same thing. We seldom have the central heating up high, because neither of us likes being particularly hot. In principle, I'd have everything: I'd plaster the house with photovoltaic cells and have wind turbines off every gable. I've cut out international travel as much as possible. That wasn't hard to do because I hate flying. But I've got to go to America in connection with books and films. I say I've got to, but I suppose I could say "No". I don't feel too guilty about electricity because we buy it from Good Energy, which supplies it from renewable sources. So I don't feel too bad when I'm playing my electric guitar. Nothing about walking or cycling or the role played by car travel in his life (there must surely be some, even if only by taxi). Odd. The full interview here. Meanwhile Up to 7.5million Brits do not care about global warming, a government briefing paper warns. Motorists are using cars more and more despite record fuel prices, higher vehicle taxes, and entreaties by the Government for greater use of public transport. Traffic has risen sharply in the past decade in almost every part of England except Inner London, despite the Government’s pledge for a greener transport system, figures today reveal. While rail travel has grown by 40 per cent in the past decade, this has done little to ease the pressure on roads. In 2006, 60 per cent of cars on the road had only one occupant – its driver. A quarter of all car trips were less than two miles long. A study last year by the Government’s Commission for Integrated Transport found that Britain had much lower levels of car ownership than other large European countries but that its cars were more intensively used. of a generation apparently out of control. The violence, lawlessness and irresponsibility of youths are tiny compared to those of adult drivers. Teenage yobs do not kill 3,500 people a year. Drivers do. We hear a lot about binge drinking but we never hear about binge driving - the dangerous addiction to car dependency and reckless driving. And yobbish binge drivers can always rely on their dear chums, the judiciary. The threat of jail was lifted yesterday from drivers who kill while at the wheel without a licence or insurance. New rules for judges said that those among the army of illegal drivers on the road who cause death should normally escape with a community punishment. Even repeat offenders - who have a previous conviction for going unlicensed or without insurance - can avoid imprisonment under the instructions for the courts on how to deal with drivers at fault in fatal accidents. The ruling handed down by the Sentencing Guidelines Council, the body that sets punishment benchmarks for judges and magistrates, frees millions of illegal drivers from the risk of imprisonment if they kill. The Council, led by Lord Chief Justice Lord Phillips, made its decision despite carrying out a survey that found a big majority of the public think sentences for serious driving offences are too light; that families of victims of killer drivers are "deeply unhappy" about light sentences; and that most people believe driving without insurance or licence is a very serious offence. A BUSINESSMAN convicted for talking on his mobile while driving at 156 mph has admitted using his phone behind the wheel again. 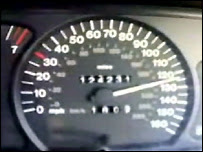 Ronald Klos, of Sandport, Kinross, was previously banned after clocking the highest speed ever recorded in a car on a British road. He was arrested again months after having his licence returned, and yesterday at Perth District Court, he admitted driving while using his mobile phone near his home on 7 July 2007. He was fined £60 and had three points imposed on his licence. Judges are enormously sympathetic to yob drivers. Every week there are disgusting cases like this. A road rage driver has escaped with just a fine after he drove along a pavement in a city centre. The hot-headed motorist scattered shoppers as he belted down a 12 foot gap between shops and bus shelters after a foul mouthed tirade with a bus driver. Shoppers had to leap for their lives as Korey Rowett drove on to the pavement along Royal Parade in Plymouth city centre - and it was all caught on dramatic CCTV. But a judge let him off with a fine after telling him that he was satisfied that none of the public were placed in "undue danger". Yob politicians also get slapped on the wrist with a feather. No surprise that the David Cameron has jumped on the bandwagon. Last year there was the case of a yob who drove dangerously when he accelerated through a red light and knocked down a pedestrian on a pelican crossing, a court has heard. Jurors heard his high-performance BMW 6 series car reached 47mph as he overtook vehicles in the wrong lane just before traffic lights in Bolton town centre. While on bail for this offence this same yob drove at speeds of at least 140mph on a stretch of road known as Death Valley…The boxer was convicted of speeding but escaped with a £1,000 fine and a 42-day ban because police were unable to prove how fast his high-performance BMW 630i was going. A police officer told a court his speedometer was "off the clock" at 155mph as he pursued Khan on the M62. This particular yob was chosen by David Cameron as his “person of the year” because there is “much to admire in the man.” In fact according to Cameron this yob represents social responsibility in action. (i) Plans to force shoppers using out-of-town supermarkets to pay car parking charges have been given the thumbs down by David Cameron even before they have been formally launched. (ii) a road-building programme was still necessary because "some extra road capacity" was needed. (iii) He is keen to extol the benefits of public transport, on Thursday he was pictured taking a train in Bury, although admittedly it did take a helicopter to get him there… In 2005 he voted against the Clean Neighbourhoods and Environment Act, legislation that gave local councils more power to take direct action against litter, graffiti and environmental problems. (iv) He has taken 70 private flights since becoming party leader nearly two years ago. The revelations make a mockery of his claims to be a keen environmentalist worried about climate change. (v) A spokesman for the Tory leader said the party had never made any secret of the fact that he was followed by car. "David Cameron has always enjoyed cycling and if he could carry all of the boxes of documents for work on his bike then he would," he said. Pathetic. 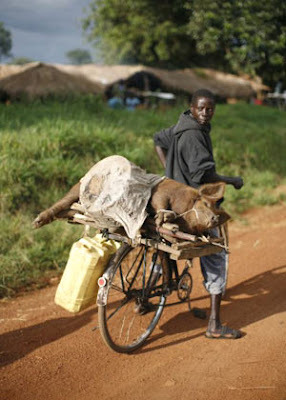 A phoney like Cameron has no idea what you can get on a bike. A couple of nights ago I watched ‘The One Show’ on BBC 1. I hate the BBC. They have ‘Top Gear’ with the odious petrolhead Clarkson but they never have any programme about cycling or urban walking. Watching BBC TV on driving and streets you sort of know that everyone involved is on a fat salary, drives a Four Wheel Drive, and has a string of speeding convictions. ‘The One Show’ tonight attracted my attention because it said it was about road humps. And it was typical BBC TV motorist propaganda. For a start, it only looked at road humps from the perspective of the motorist. Nothing about how they might affect pedestrians or cyclists. 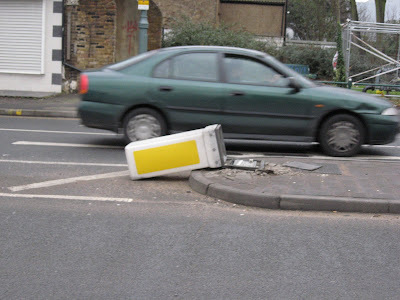 The programme was crude and impressionistic because it failed to register the large variety of traffic calming devices involving raised surfaces. The ones in the programme in fact weren’t road humps but speed cushions. Apart from a brief clip of a Councillor who quoted some statistics showing how local traffic calming had resulted in a drop in pedestrian injuries to zero, the message was that road humps are BAD. In the studio there was publicist Max Clifford, who whined that humps put on roads where drivers never speed. Complete crap, of course, but the kind of message that the BBC media class are keen to promote (their agenda is no different to that of the gutter press and its rabid motoring lobby). And putting forward the views of the cyclist and the pedestrian? No one. The BBC is indifferent to organisations like the CTC, LCC and Living Streets. Road deaths aren't news. A faulty jumbo jet which injures no one is mega news but the fortnightly jumbo-jet toll of road fatalities never registers at a national level. 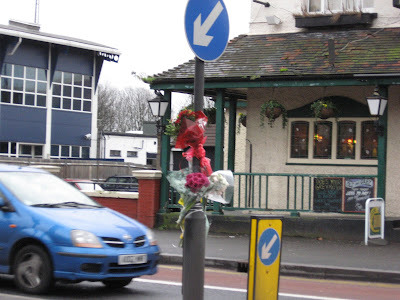 One week after a pedestrian was run down and killed the flowers at the site have grown but there is still no police sign appealing for witnesses. THE man who tried to save the life of pedestrian Joe Sheridan, killed in Lea Bridge Road last Thursday, has witnessed four other accidents in the same place in six years.His wife's father was also knocked down on a nearby zebra crossing. Malcolm Durrant, landlord of the Hare and Hounds pub in Lea Bridge Road, Leyton, said: "One time I saw a man flying through the air. And in the 1990s a lorry clipped a cyclist's back wheel and killed her instantly. Some drivers are oblivious. The road is this bad because it's so long and so straight. They should have some sort of chicane system like in countries abroad." And naturally no blame at all attaches to drivers who hit a cyclist or a pedestrian with one of these. Carrying an offensive weapon which may kill or cause grievous bodily harm - that's not what our mass media means when it talks about yobs and anti-social behaviour. Problems for pedestrians and cyclists on Cairo Road E17. Firstly, this scooter has taken permanent root on the pavement in an area which receives at least once daily visits from parking attendants. If they are doing their job correctly it will by now have received numerous tickets for footway parking. The fact that it is still there, day after day, suggests that they might not be. It's a mystery. 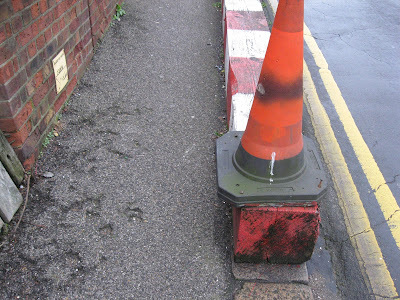 Secondly, just yards away, the plastic illuminated signed bollard designed to prevent vehicular access from Cairo Road to Hoe Street, was demolished by a vehicle in 2006. The bollard was never replaced, which in itself creates a hazard, since the remaining hollow base could easily be tripped over. Much worse, however, is that drivers have reverted to using Cairo Road as a rat run. Mainly Four Wheel Drive owners, naturally. Just drive your SUV in the cycle lane and over where the bollard used to be and on across the pavement on Hoe Street and you can save yourself a minute or two from queueing at the lights on Church Hill. Look carefully and you'll see the tyre prints from drivers who perform this manoeuvre. Of course, if the Council replaced the plastic bollard, tranquillity and the safety of cyclists and pedestrians would be restored. But I'm afraid maintenance isn't this Council's strong point. Where are the Village cycle stands? Town Hall celebrates The Year of the Rat!